Despite its good performance at the box-office, and its sequel-baiting ending, no one in their right mind would have made a sequel to the Tim Burton debacle. Then Rick Jaffa came along. 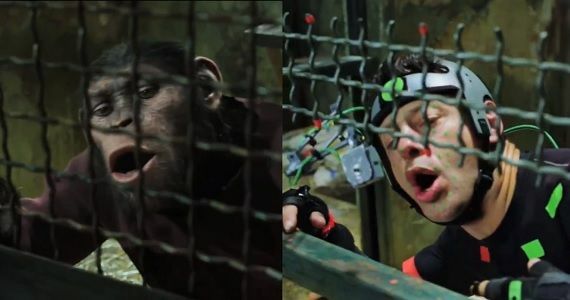 After seeing an article about pet chimps being unable to adapt to a human environment, he realised this would fit quite well within the Planet of the Apes universe. This seed of an idea would flower into Rise of the Planet of the Apes. 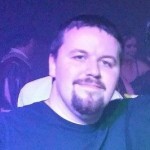 Directed by Brit Rupert Wyatt, Rise of the Planet of the Apes was one of the surprise hits of the summer of 2011. 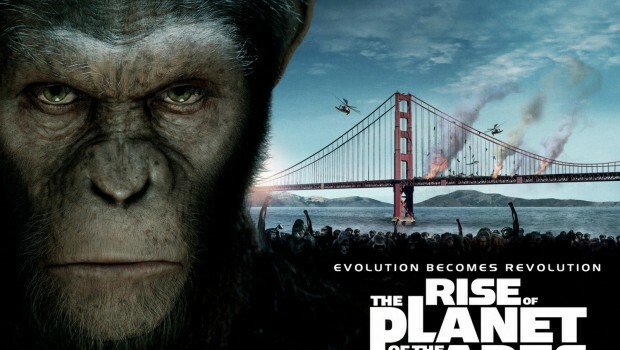 It serves as both a prequel to 1968’s Planet of the Apes, and a reboot of the series at large, sharing a lot of elements with Conquest of the Planet of the Apes, and presenting an alternative take on the ape revolution. Central to things once again is Caesar, and whilst Roddy McDowall was wonderful in the role in the original series, I believe he would have happily doffed his hat to Andy Serkis’ Caesar as the superior performance. In conjunction with Weta Digital, the effects studio with whom Serkis had already created Gollum and King Kong, there isn’t a moment in the film where you don’t believe in the character. It’s an extraordinary piece of work. The film opens with a chimp named Bright Eyes (the nickname given by Zira to Taylor during his captivity in the first film) being given an experimental anti-Alzheimer’s drug called ALZ-112 (the running time in minutes of Planet of the Apes). After an accident in which she gets loose, the project is shut down and all the apes ordered euthanised. 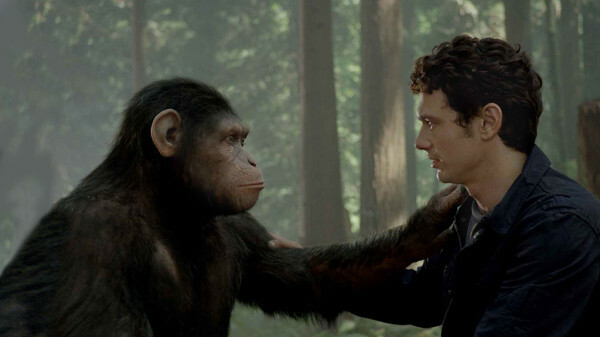 Project head Will Rodman (James Franco) secretly takes Bright Eyes’ infant son home with him, where he immediately forms a bond with Will’s father Charles (John Lithgow), an Alzheimer’s sufferer, who names the chimp Caesar. Lithgow’s performance is heart-breaking, the secret weapon of Rise of the Planet of the Apes. 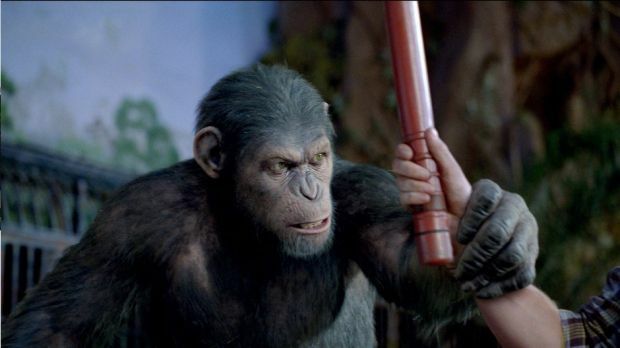 The years go by, and after an incident in which Caesar tries to protect a confused Charles from an angry neighbour, Caesar winds up locked in an ape shelter, owned by John Landon (Brian Cox) and guarded chiefly by his son, Dodge (Tom Felton). Dodge and Landon were, of course, the names of Taylor’s crewmates from the original. Rise of the Planet of the Apes is littered with references like this. Caesar’s treatment at the shelter mirrors that of Taylor before he regains his voice in Planet of the Apes, and Felton gets to give two of that films’ more iconic lines, “It’s a mad-house!” and “Get your stinking paws off me you damn dirty ape!” This middle section of the film, and Caesar’s prison conversion from scared domestic ape to charismatic revolutionary, is a masterful piece of near-silent filmmaking. This leads to one of the great moments in the entire Apes franchise. As Felton swings a cattle prod at Caesar, demanding that he get back in his cage, Caesar begins to dodge. Eventually, he catches Felton’s arm, holding him at a disadvantage. Felton gives the “damn dirty ape” line and Caesar stares at him a moment, before bellowing “No!” The audience I saw this with audibly gasped at that moment, and I can’t say as I blame them. It’s stunningly executed, the defining moment in Caesar’s arc in the film. From here, he leads a mass breakout, and all hell breaks loose. Rise of the Planet of the Apes is a sensational film, the first in the franchise you could consider a genuine match for the original. The motion capture work on the apes is as impressive now as the makeup work was back then, the human performances are all varying degrees of good, the action is enjoyable, and it’s a really good story. 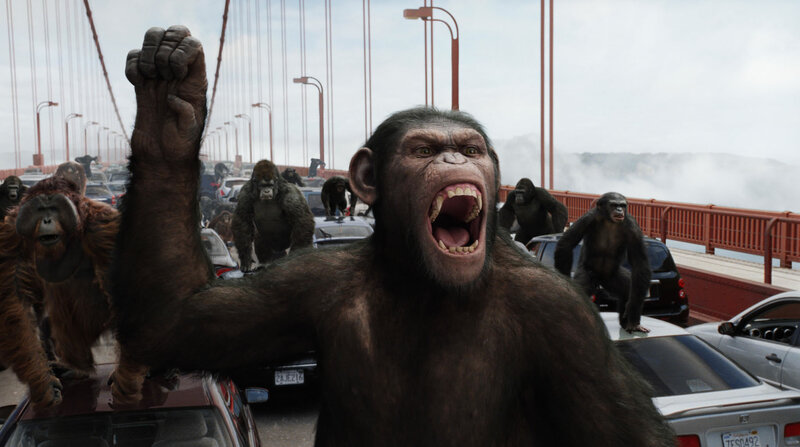 A welcome shot in the arm and return to international prominence for the Planet of the Apes franchise. Join me next week, for a review of the brand new instalment, Dawn of the Planet of the Apes, hitting cinemas worldwide next Thursday.